At HPI Canada we offer a wide selection of hydraulic components. We are dedicated to supporting our customers with their unique industrial applications by providing the right hydraulic equipment perfect for your next operation. HPI Power Packs are built using a 100% modular system, and are available in direct or alternating current models. HPI offers a complete range of electro pump sets. Compact yet powerful, they can also be equipped with functions on the rear body. HPI Hydraulic Gear Pumps are some of the most versatile on the market, with support for exceptional peak pressure levels if required and a highly efficient output. HPI Hydraulic Gear Motors feature excellent start-up pressure and flow conditions. Additional hydraulic functions can also be incorporated. HPI Flow Dividers achieve minimal loss of load by dividing the source flow into identical or different flows (proportional to the capcity of each divider's element). 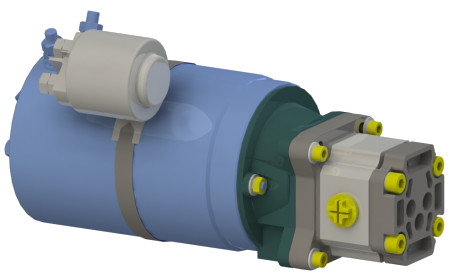 HPI provides a complete range of valves, electro-valves and solenoid valve block assemblies, allowing for the complete regulation of hydraulic systems. 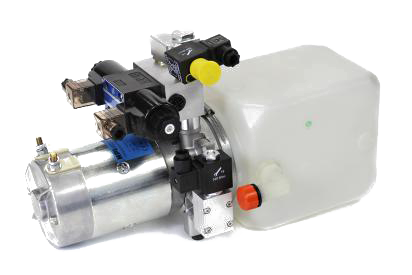 HPI offers a hydraulic motor control system that pulls information from multiple temperature sensors to regulate parameters. This can save fuel and reduce noise levels.